Fashion wise, life just couldn't be any more casual these days.
. In fact, I have a Pinterest board called Jeans Every Day! Never mind that I could probably be the mother of all of these girls! It seems like all it takes to look cute these days is a nice pair of jeans, a fun necklace, and a sweater. I'd take their figures too but yes I live in jeans too. I should try and dress it up more. Sooooo cute! I have such a hard time finding jeans that fit so when I do, I'm doing the happy dance. I love the first outfit the best and Pinned it. Now that my hair is so short, I feel like bigger and more accessories seem to fit that look. I want my style to be Kicky. 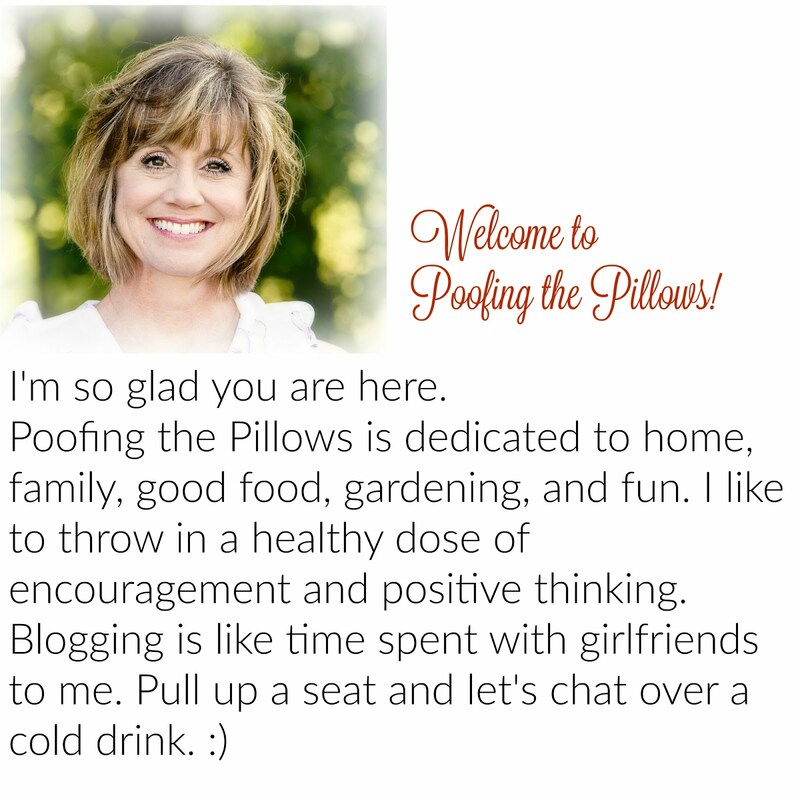 I just added Poofing the Pillows to my Blogs We Love on Pinterest. Love jeans, love them with blouses, sweaters and sweat shirts....the older the better! I wear jeans on days I have to go out, sometimes leggings and boots. Definitely yoga pants for just sitting around the house in. I like to keep my options open! When it comes to jeans, I'm all in! I wear them nearly every single day! They're just so soft and comfy! A bright sweater and cute necklace can take jeans to a new level. I love wearing jeans! I love all of the outfits you showed. I love dressing casual. I need to find some jeans that fit better than the ones I have. I love jeans, even though I have three grown children. So glad you love the house trim and thanks so much for stopping by and commenting. I LIVE in jeans. I am comfortable in them and you can dress them up or dress them down. Cute shoes and a cute sweater and a bit a bling and there you are. NOT to forget an adorable handbag, of course! YOU could be the mother of those girls! I could easily be the GRANDMOTHER, but no matter. Jeans are the staple of my wardrobe! Cute jeans! Can't go wrong with any of those outfits! I'm catching up on blog posts and read your last post about needing color in your dining room...I love the plaid curtains you chose...I'm with you ..I just can't do all white..I need color! I loved reading about this! Since I retired from teaching, I have worked at getting my wardrobe to make more sense. I am off to pin these photos. I love the looks. PS. If we move to be nearer our grandsons will I make it after living somewhere for 38 years??? This is just in the fantasy stage right now. I have that first image pinned too...love it!love yeans and love your blog!!! Oh boy did you ever hit the nail on the head! I am a very casual dresser too and love these looks. Jeans are a wardrobe staple in my closet. Jeans are always in style and people here in Florida wear a lot of khakis. I love striped tops...I have a bunch of them...nautical and fun! I have the same top image pinned! So cute!!! I wear jeans or sweats with a GAP t-shirt (long or short depending on weather) because I'm usually going to the studio or walking. I love this look, jeans and a cute sweater and necklace. I try not to wear anything that nice to the studio because the minute I do I'll ruin it with paint! Great comfortable pieces... just perfect for daily wear! Your blog is so wonderful..do you have bloglovin or fb?? I too could wear jeans every day. They are so comfy and can be dressed up or down. I have always liked the first picture! I think it is a bit of a classic look, so fresh!